The form MV11 Application for Title / Registration is restricted to licensed dealers for their retail customers. Regardless of the revision date, the MV11 forms includes dealer assignment, odometer statement and is printed by a secure printing process. 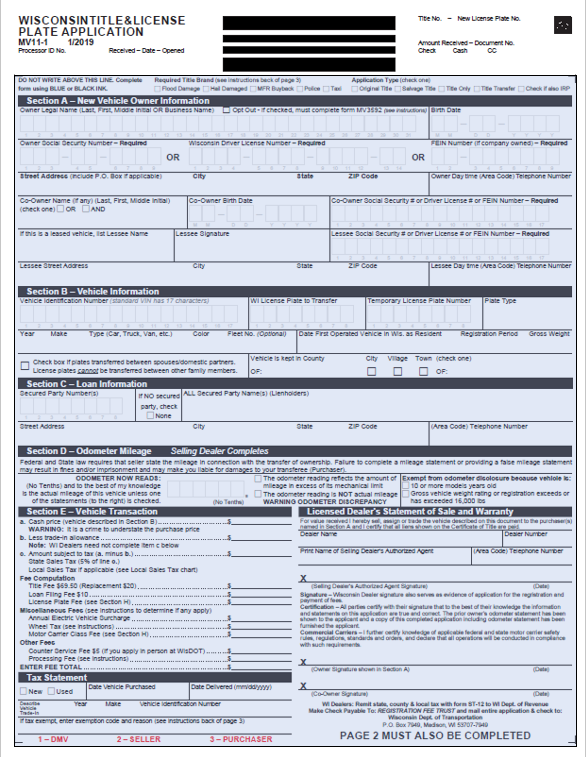 The MV11 form is frequently revised by Wisconsin's Division of Motor Vehicles which authorizes WATDASI Forms to distribute the MV11 and other DMV forms. Often these revisions involve the face of the form as well as the back printing so print positions are affected on automated F & I systems. Be sure to check with WATDASI Forms to be sure you are up-to-date. The MV11 form accommodates WiDOT's workflow technology. Some free text fields have designated character boxes to help scanning software read the information. 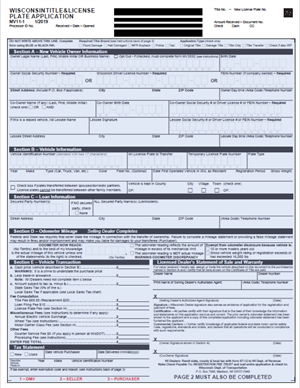 The form also has a small barcode on the upper right-hand corner. This barcode will tell the software which form was scanned and where to route it. All dealers should be using the 2015 revision or newer. Electronic Title & Registration information can be found onWiDOT's site.